You'll be blazing a trail to quality and convenience when you pick a set of Real Fyre Charred Frontier Oak Gas logs by Peterson. These logs are designed to look like a fire you might find outdoors in the American west, but work perfectly right in your own home. Charred Frontier Oak gas logs can make an evening beside your fireplace feel more like an easy, breezy night under the open sky thanks to the realistic look and added flame detail at the bottom of the fire. Peterson Real Fyre logs are also made of the best materials around to ensure that your gas logs will be around a long, long time. If you don't have the time for a quick Conestoga wagons-west adventure, bring the feel of the west home with you by putting Real Fyre Charred Frontier Oak Gas Logs by Peterson in your fireplace today. This gas log set comes with a Variable Flame Remote Ready Pilot System. The pilot will stay lit at all times. The variable flame remote ready pilot system allows you to control your system using a remote control, wall switch, or the manual knob on the burner system. This system does have variable flame height control to turn the fire up and down. None - A remote control will not be provided with this unit. You must provide a remote control that is compatible with this pilot kit in order to operate the set remotely. Basic Variable Remote Control (Real Fyre VR1a) - This remote will turn the unit on and off as well as adjust the flame height up and down. Deluxe Variable Remote Control (Real Fyre VR2a) - This remote will turn the unit on and off as well as adjust the flame height up and down. This remote also has a room temperature feature and thermostatic control. Variable On/Off Wall Switch (Real Fyre WS-3) - This is a wall switch used to turn the unit on and off instead of using a remote control. he Wall Switch will also adjust the flame height up and down. Heat output absolutely great and beyond my hoped for expectations. Also purchased firebox, liner, blower and variable speed control. All work well together and simplify operational control. All installation instructions were adequate. ProsA couple of items were omitted from my shipment but were timely replaced. Fastest receipt of original and missing items I have experienced. Completely satisfied with total experience. One of the nicest fire logs I've ever seen. Easy to assemble, works perfect every time. Has a genuine real wood fire look, friends have to look twice and examine closely to see it's gas. Would recommend to my friends, and have done so. I received it as expected. It has not been installed, yet. Every aspect of my purchase was highly satisfactory. The logs were exactly as described and arrived quickly and in perfect condition. They are beautiful and very realistic looking whether lighted or not. I was definitely delighted with my purchase and would highly recommend it. I was initially concerned about purchasing online. However, the website provides all the information you need and none of the high pressure of a sales person on commission. Pricing was better than brick and mortar stores. The log set looks amazing and the sales and service team have been great to deal with! Great look plus Hood that looks good to keep heat from rising up under mantel, and heats room as well if not better than Old real fire place with out the mess. Just push button to light and regulate flame height and amount of heat. Insert was very easy to install. The description on the Web Site matches the product perfectly. Very easy to operate. Remote control is an excellent enhancement. ProsEase of Installation. Beauty of logs. Amount of heat generated. Remote control works well. Temperature is maintained perfectly by the remote. Variable flame height makes the log more realistic and adds improved regulation of heat output. ConsDirections can be challenging for those with limited technical ability. Should limit directions to model and accessories purchased only. Beautiful and realistic looking gas log set. Fits the fireplace unit perfectly. We enjoy the remote to set the flames and heat to the perfect level. Ordered this item on the Internet based on the information and guidelines provided on your website. The product was shipped and delivered to my doorstep as advertised and in excellent condition. Assembly instructions were specific but easy to understand. The product exceeded my expectations and has performed first rate since I installed it in my home. I highly recommend other potential customers to visit your website before buying. I am completely satisfied with the entire process and product! ProsYour website eliminates the confusion and frustration often associated with choosing the proper type and size fireplace to purchase. The log set is easy to light. I love the glowing embers! Ordering the item was easy and the service was great! Logs arrived very timely, and well packed. The plumber that installed them commented on the good quality . I have had them about a month, and use them frequently. They are beautiful to look at, create wonderful atmosphere, and warm the room very quickly. Haven't received the gas bill yet, so can't comment on their fuel usage. ProsVery good option for a power outage!! Will have warmth in part of the house. Love our new gas fire place logs and insert! This is our first night to use our fireplace. We love it! It keeps our room as warm as our wood did. I do miss the burning wood smell though. Pros Great buying experience and fast delivery. 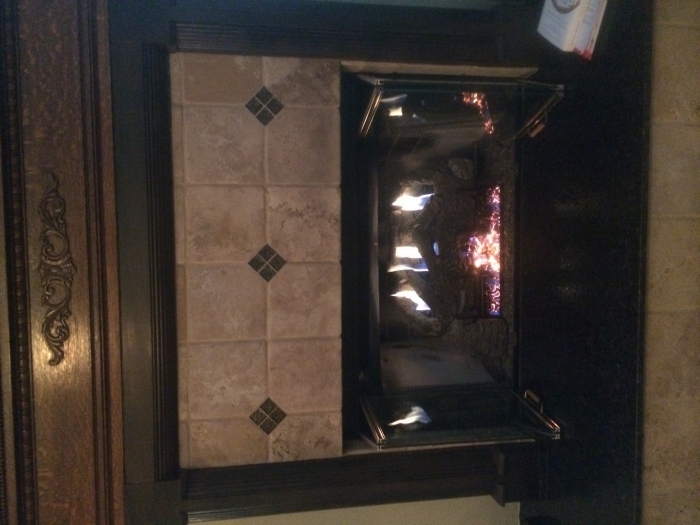 We replaced our old box store gas logs that had stopped working. It took some time to hook everything up right, but we took our time and it was worth it. I wish the directions could have been more clear. For instance the wiring directions for the remote transmitter is not clear on which wire is to go where. The remote set up directions could be a little more clear also, but eventually we figured out what was to be done because my husband used his engineering skills. The end result is a absolutely beautiful fireplace with the ease of turning on with a remote. ProsThe price of these logs can not be beat! We looked everywhere , and for the quality you will never find a cheaper price. ConsWish the directions were more clear. 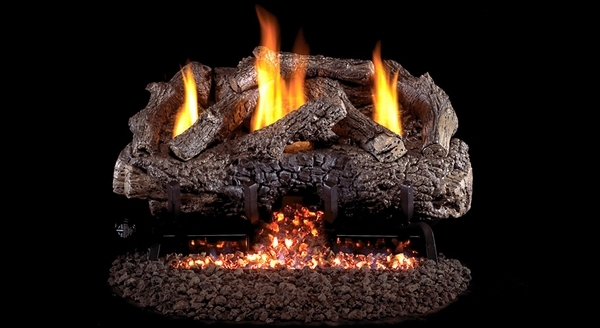 The Real Fyre Ventless Gas logs are beautiful. Very realistic, heavy and excellent quality, the glowing embers make it seem like a wood fire. Shipping was fast, everything ordered was included and in excellent condition. Already have requests of where to buy. 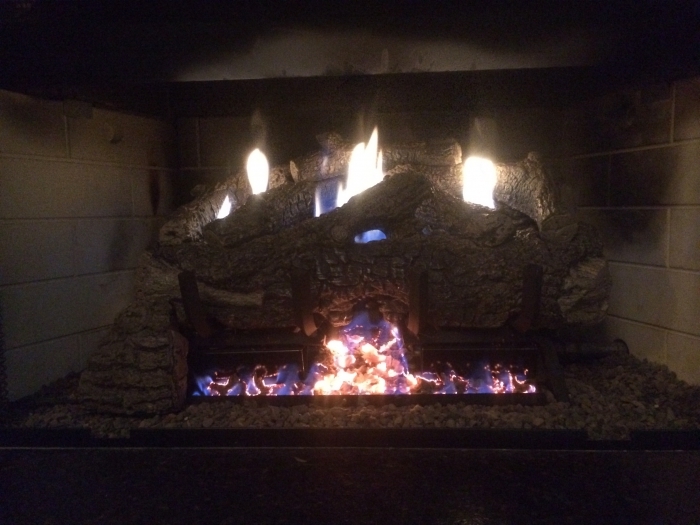 Make a very nice looking fireplace with a realistic looking flame and very easy installation. I love our new fireplace and it was easy to install. We bought it as a replacement after trying unsuccessfully to repair older one. The customer service rep, Collin, went out of his way to assist us with repair parts and information. Highly impressed with his professionalism and dedication. A+ company with terrific customer service! With the remote, this set of gas logs is easy to use. It is very attractive and now I look forward to enjoying its warmth this winter! Received this with one broken log. After speaking with customer service, who was extremely helpful and professional, I received a replacement log in a couple of days. Other than that this log set is terrific. The flame is better than some vented logs and the embers give a true fire appearance. I highly recommend this log set and highly recommend this store. You won't regret it. At this time we really can't actually rate the unit since it's summer. Our experience will actually begin when we actually are using when winter comes. It looks great, but different from our old unit so it's hard to give a true review until this coming winter. ProsThe main issue is it is vent-less which replaces our old on that we've been using for 17-18 years and was becoming less efficient and the production on carbon monoxide was going up. Obviously this isn't going to replace your main heating for the whole house, but it really keeps the room cozy when you turn it on. Very natural looking gas log set. We were looking for that last touch to our greatroom's dor, and when the log set looked good when it wasn't burning we knew we had made the right choice. It is also very utilitarian. When burning, it puts out enough heat to warm the rooms we are using, so we can set the heat lower in the rest of the house. This has really helped our heating bill. Also, I can't state just how useful the remote is for adjusting the level of the flames and turning it on/off. If you are looking for realism, the ember set looks exactly like embers from a real fire. Whenever anyone I know is looking for a gas log set, I always tell them to take a look at this one. Couldn't be happier with my first ventless set. Perfect Transaction. Awesome customer service. With the help of the customer service rep, we decided on this log set. Once it arrived, we had some questions about installation. The customer service was amazing. We are very happy with the product. It looks so real. Only thing, no mess to clean up! We love it and would recommend both the fireplace and this store. ProsLooks very realistic. Easy to use just press a button or flip the switch. 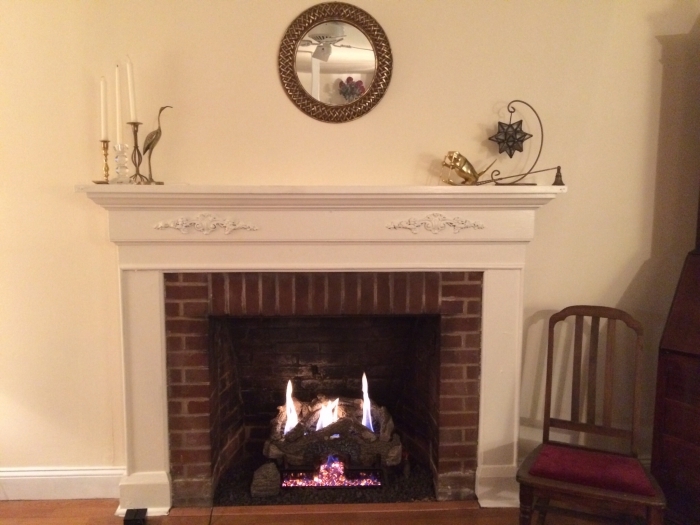 Even though you don't have to, I used my old fireplace with a flue (just in case there were any fumes). I haven't had any problems with fumes, so I would encourage you to get the ventless set if you are already looking at it. This set looks very large, and looks very natural. Easy to install,decent heat,very slight odor,just crack damper 1/2 inch no odors. Good product. This came just in time for the holiday season, and everyone loved it! I am completely satisfied with my selection of gas logs.